Comments: The Sally Tompkins House is located just east of Valley Street at 180 Jackson Street. 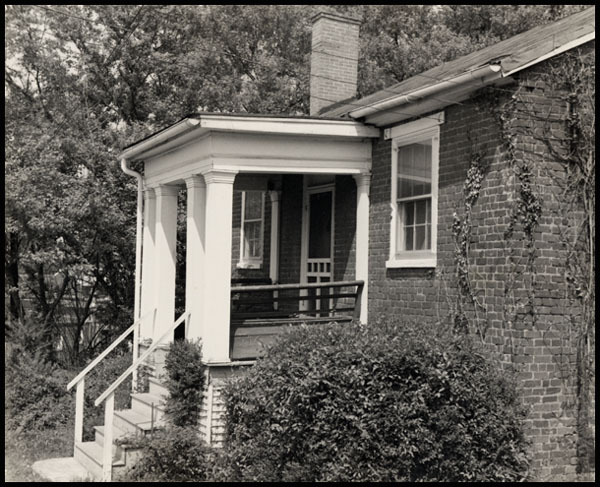 It was built by Dr. Samuel W. Tompkins about 1835 and is a simply constructed, one and a half-storied brick house with chimneys on either end of the house. Years ago, Scottsville's town well and water pump were located in front of this house. 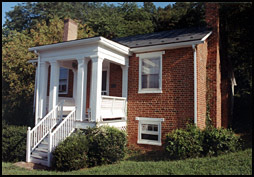 Shown at right in a 2002 photo, the Tompkins house is one of 52 historic buildings in Scottsville's historic district and is listed on the National Registry of Historic Places.